In comes a new brand I recently posted about in my Whole30 Grocery Haul (here), "Fra'mani". Their meats are all minimally processed with exceptional ingredients that make me feel good about what I'm eating. In that haul, we picked up the breakfast sausages-- which have become a huge favorite of ours. 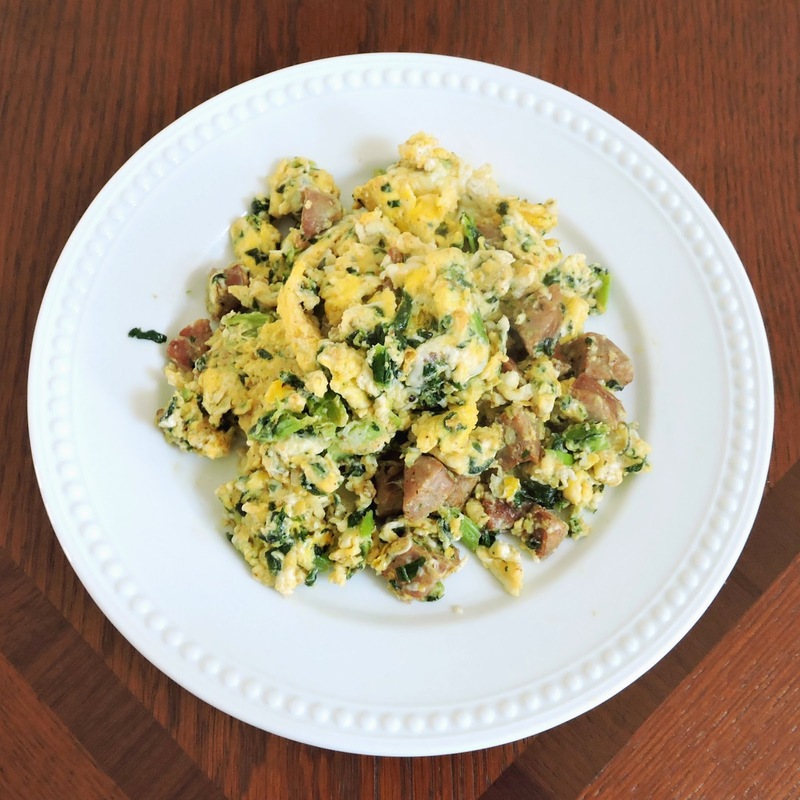 Those sausages, along with their chorizo sausage, are Whole30 compliant & made with really simple ingredients. Their "Chorizo Pork Sausage" is also fully cooked, which makes it really easy to prepare. You can grill the links whole, or dice them up & toss into your favorite dish. 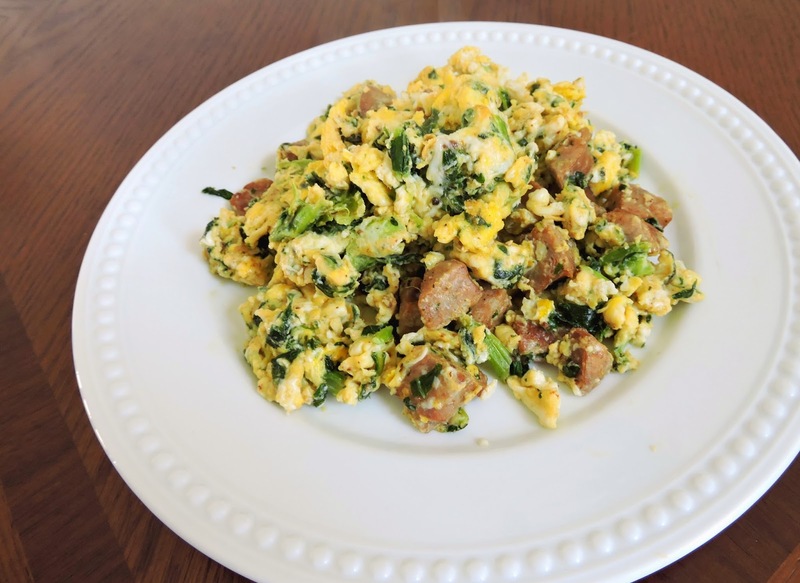 I recently added mine to a jambalaya recipe, and have loved it for breakfast too! This dish is great for a weekend brunch, but can also be split into portions to reheat & eat for breakfast throughout the week. 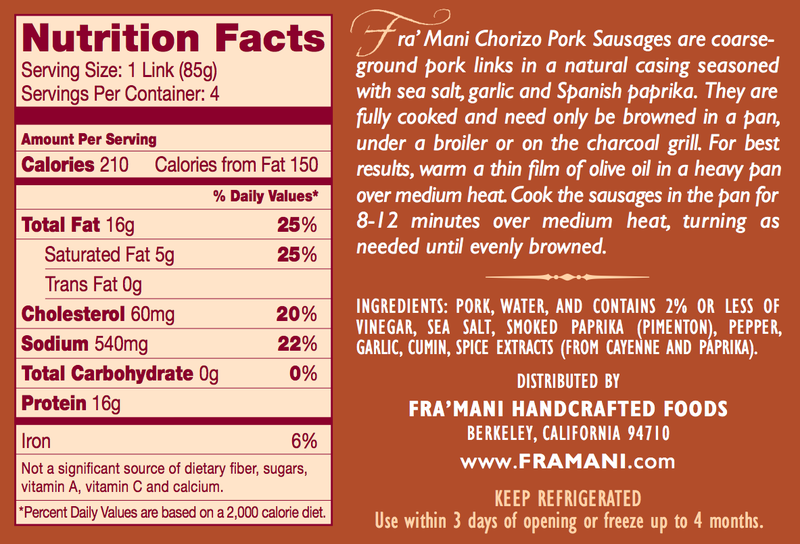 While I highly recommend the fully cooked sausages from Fra'Mani, feel free to use whatever chorizo you can find! The uncooked links from Whole Foods Market's meat counter are great as well. Just look for the highest quality meat with the fewest ingredients. If you are using fully cooked sausage, dice it into small pieces. If your sausage is uncooked, remove the casings. Whisk your eggs in a medium bowl and set aside. Cook the sausage in a large skillet over medium to medium high heat until it's lightly browned. Add the chopped kale, and sauté it with the meat until wilted. Move the meat & kale to the sides of the pan, leaving a circular "hole" in the center. 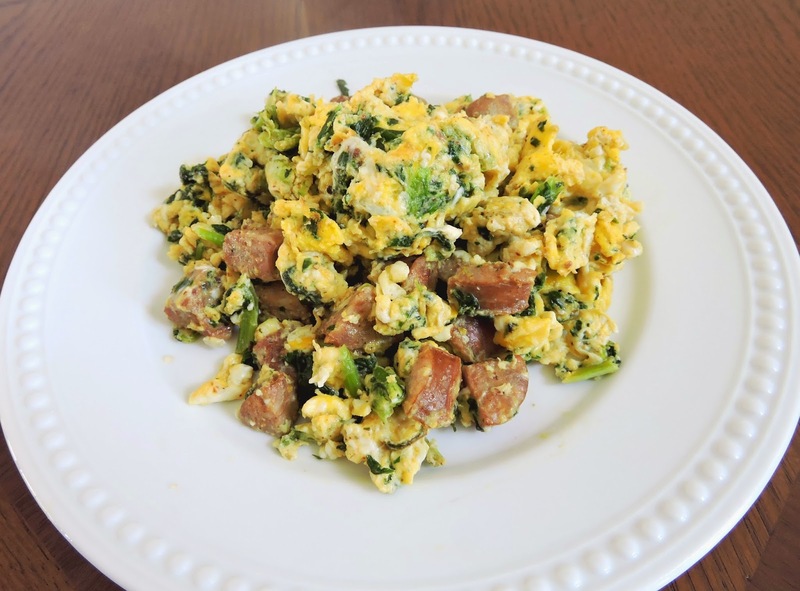 Pour in 6 whisked eggs, and scramble with the meat and kale until the eggs are cooked to your liking. Sprinkle with salt & pepper to taste, and serve with a dash (or two!) of hot sauce.